The open road is an alluring place that tempts motor heads on a daily basis. Driving in the city on the other hand is an absolute chore and can be quite dangerous if you are not paying close attention. Thousands of accidents occur on a daily basis and the need to improve on traffic laws is now greater than ever. 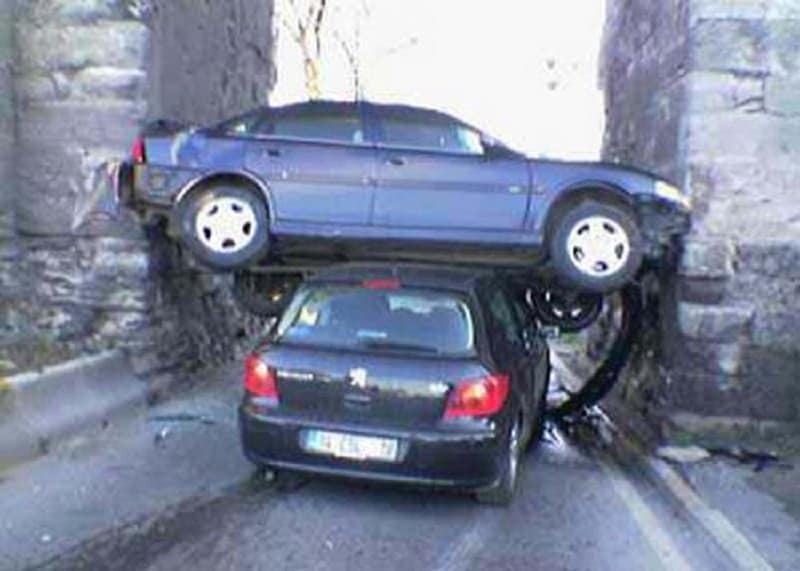 Some of the accidents seen on road are quite shocking and are sometimes beyond any logical explanation. 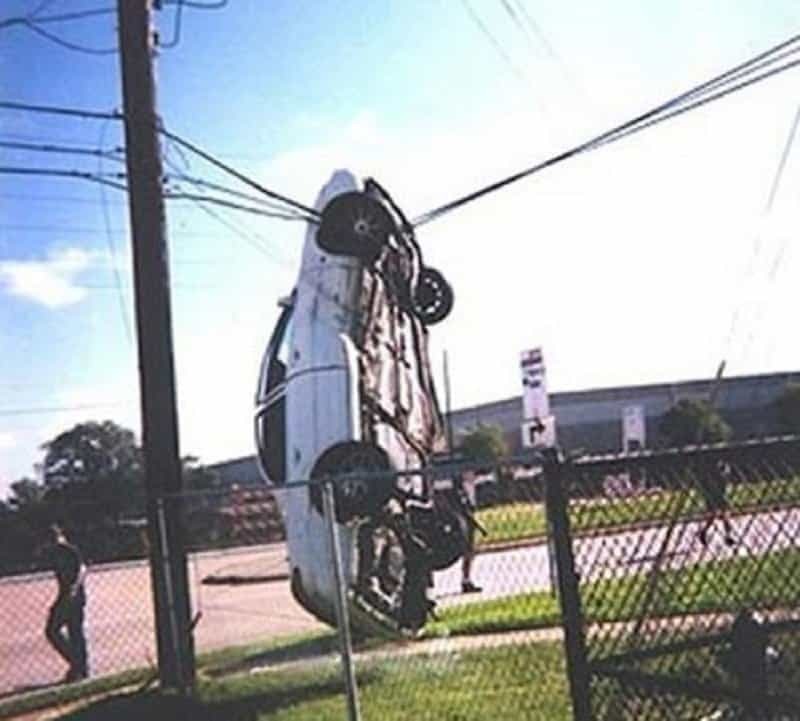 This list features 10 photographs of some of the craziest car accidents that have ever happened. 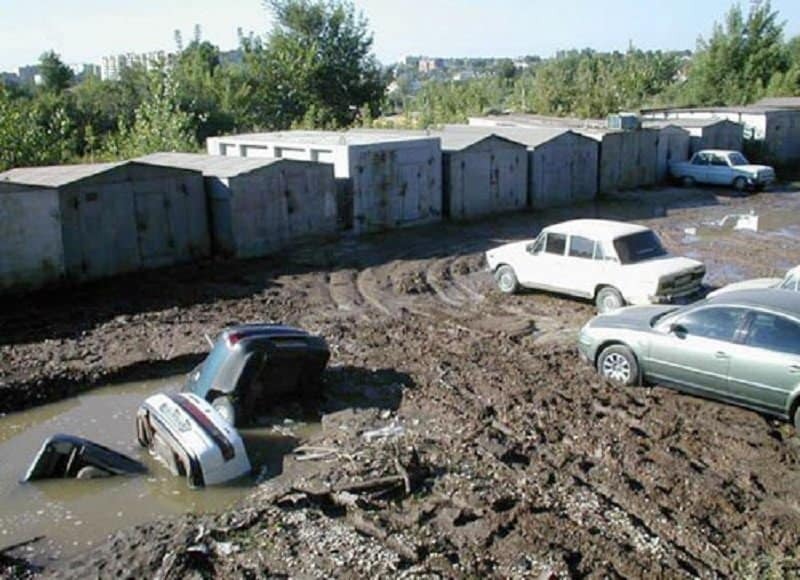 A massive sink hole seems to have engulfed a bunch of cars in this photograph. Even the earth seems to hate motorists. 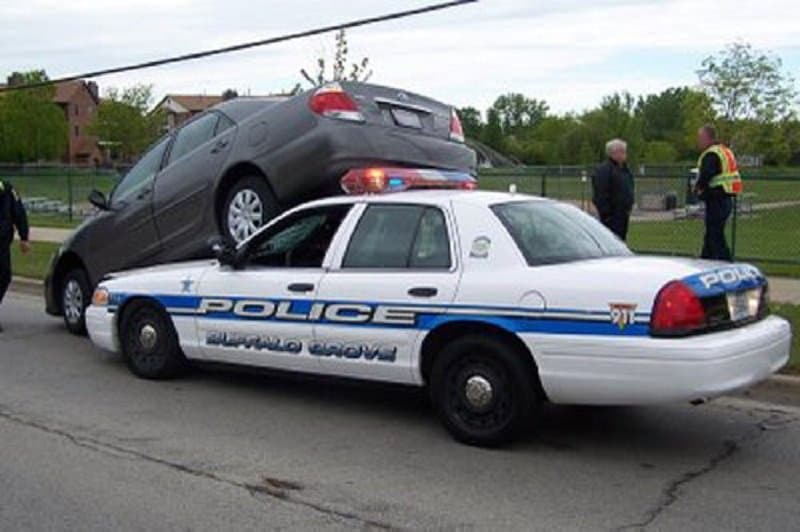 This photograph makes it seem as if the cops have braked quite late and ended up ramming into the car in front. Not the most encouraging signs from your local law enforcement. 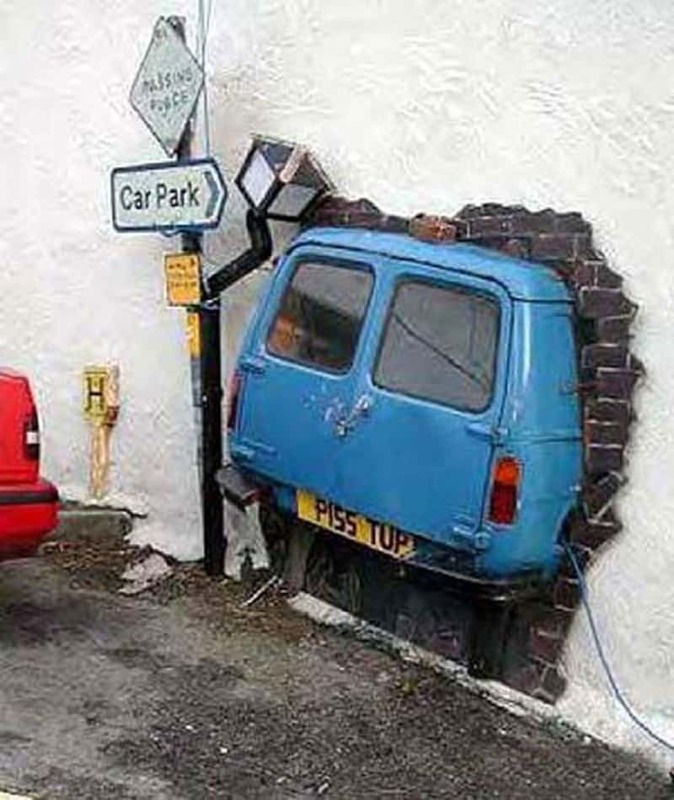 The sign to the left says car park, and the hole seems to be a perfect fit for this van. 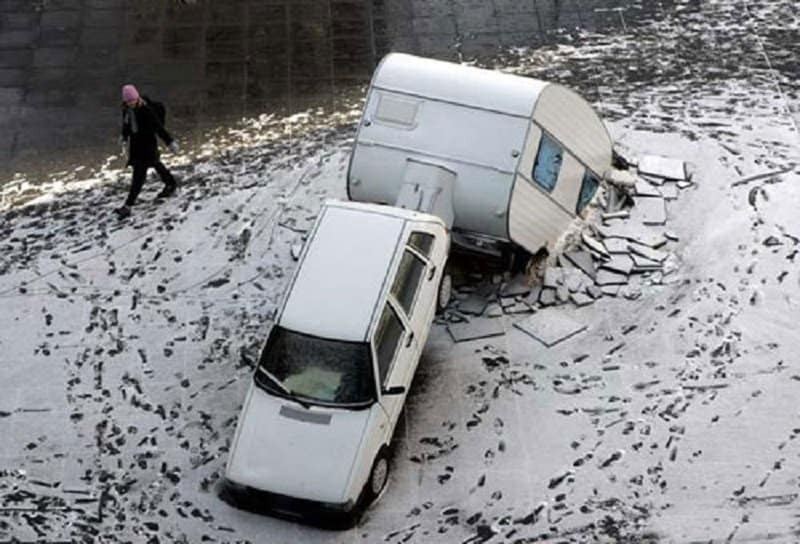 Has to be the strangest car park in the world. 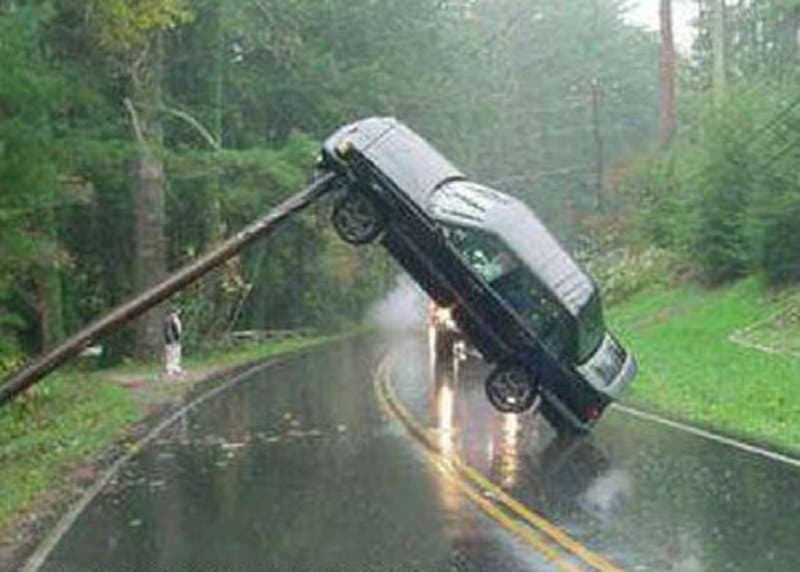 The angle with which this car has rammed into the pole is truly worth of being featured in an action flick. You know what they say about driving with trailer parks – if the front end doesn’t get you the back end will. The car on the right wanted to park his car desperately and he wouldn’t let anything get in his way. 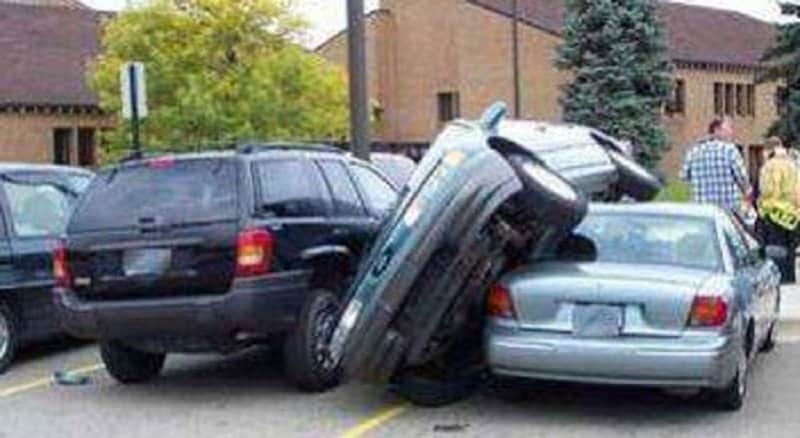 A classic example of double parking gone terribly wrong. 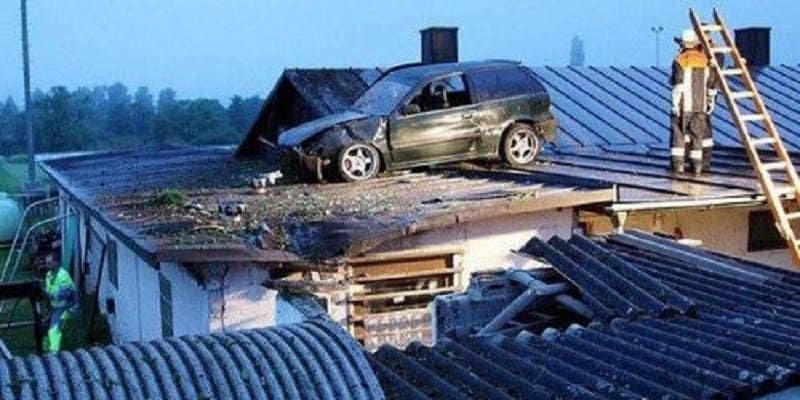 Parking seems to be such a problem today that some people have resorted to parking on their own roof. 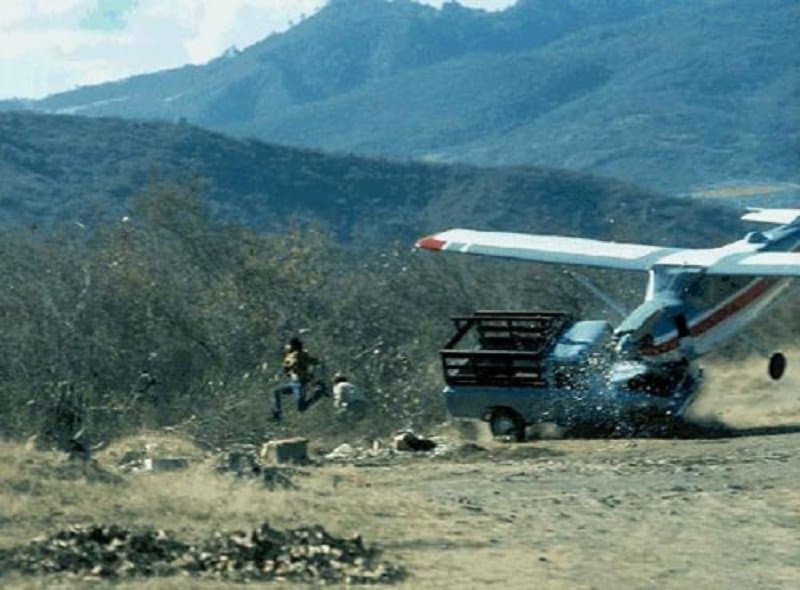 This looks like a still from an action movie, an extremely over the top action movie! In order to save some space, this driver seems to have parked vertically. Quite a creative solution!